For BYU, everything is certainly on the table. They have a tough schedule, and thanks to certain power five conference commissioners they even have power five status. Last year, the Cougars showed that they have the talent to compete at the highest level, unfortunately some untimely injuries led to a mere 8-5 record. This year? 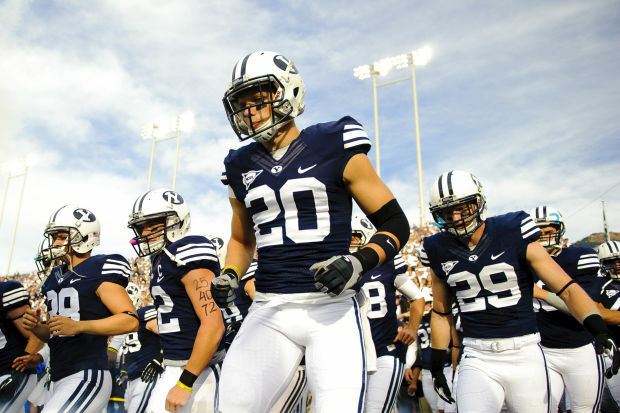 BYU is healthy and ready to compete. With the schedule at hand, should they manage to run the table they just might find themselves a playoff bid. 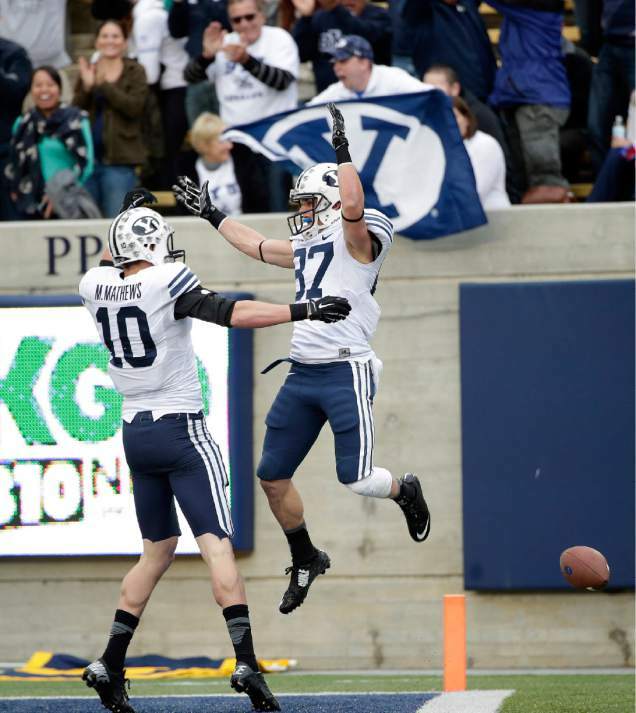 BYU was 4-0 with Taysom Hill on the field last season, 4-5 without. It doesn’t take a genius to see how much better their offense is with him on the field. He is a prototypical dual threat quarterback. Even in only 4 games, Hill managed to throw for almost 1,000 yards, rush for over 500 yards, and account for 15 touchdowns. That was before a nasty leg break cut his season short. He’s back now and ready to take the college football world by storm. If he can stay healthy, then he is a legitimate Heisman candidate. If not, then the Cougars have several candidates for the “All-Name” team ready to back him up with guys like McCoy Hill, Hunter Moore, Tanner Mangum, Beau Hoge, and Koy Detmer, Jr. also on the depth chart. That’s right, they have a Detmer! There’s a good reason that BYU still finished in the top 50 of virtually every offensive category despite losing their quarterback last season, and part of that at least can be attributed to the depth and ability of their skill players. 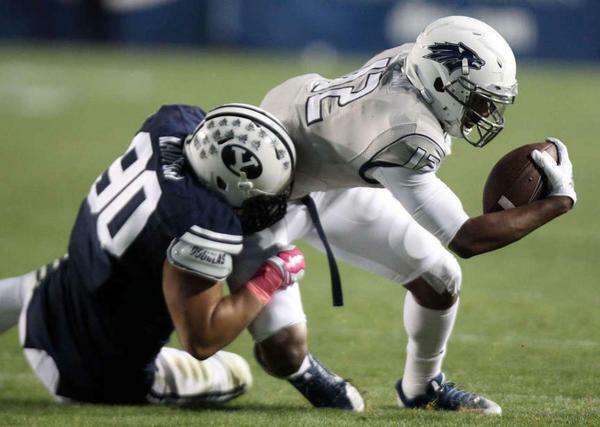 Jamaal Williams, Adam Hine and Algie Brown make up a trio of backs that are significantly more than a complementary piece to Hill in the running game. Williams led the team in rushing despite only playing in 8 games last season due to injuries and a suspension against Texas in the opener. Hine only saw limited touches last season, but did score two TDs against Texas. He also is a versatile back being able to contribute in the rushing, receiving and return game. Brown is listed as a fullback, but in their scheme he is usually in as a lone back when on the field. The receiving corps should give Hill a plethora of options as well, led by Mitch Mathews. Mathews, whose initials and status as the offense’s leading trash talker, will henceforth be referred to as college football’s “Eminem”. Aside from the new “Slim Shady”, the Cougs have Mitchell “Mormon Wes Welker” Juergens, Devon Blackmon, Terenn Houk, tight end Steven Richards, and JUCO transfers Nick Kurtz and Bryan Sampson. Sampson is also a tight end. 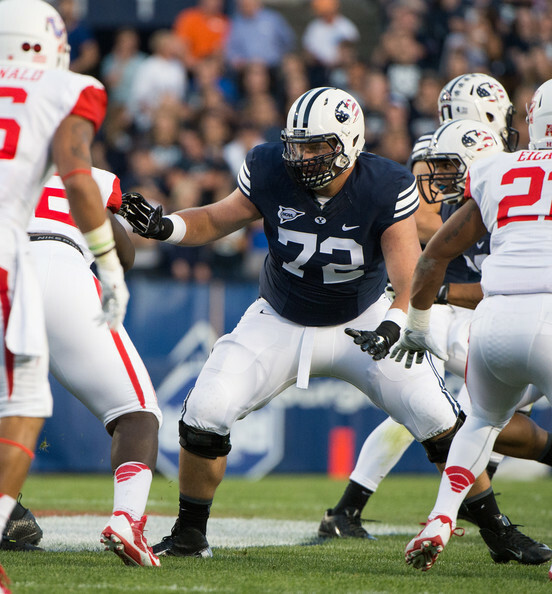 Ryker Mathews returns to lead an experienced Brigham Young offensive line. This line was a good in the running game last season, but gave up entirely too many sacks. That’s a pretty common narrative for up-tempo teams with mobile quarterbacks, but even when considering that there’s no reason this team should have barely cracked the top 100 in sack rate. With Mathews at LT, the rest of the O-line should round out with LG Kyle Johnson, C Tejan Koroma, RG Tuni Kanuch, and RT Ului Lapuaho. The two-deep has no player with starting experience, but does return three juniors who have seen game action. That could come in handy when considering the pace that BYU likes to run its offense. As bad as they were at defending the quarterback last season, BYU was even worse at generating a pass rush. As a result, they finished in the bottom-20 in pass defense, thoroughly cancelling out a top-20 rush defense. The good news is that the entire defensive line returns, which should lead to some improvement, hopefully. Especially with Bronson Kaufusi, the team’s only real source of a pass rush last season, included in that group. The linebacking corps loses productive pieces Zac Stout and Alani Fua, who combined for 15 tackles for loss last season, but that may end up clearing the way for talented players like Fred Warner and Austin Heder. Sione Takitaki should start at the WLB spot, where he was fairly effective last season, recording 3 sacks in limited playing time. The big question is the competition at the BLB spot between Jherremya Leuta-Douyere and Manoa Pikula, both of whom played in every game last season and will likely both see extensive action this season. The passing issues were previously discussed, but it bears repeating that the Cougars were a bottom twenty team against the pass last season. Now, part of that has to do with QBs having all day to throw, as seen below. However, some blame has to lie on the secondary’s shoulders also. Now this group has some talent, and there will be some new faces, so improvement is possible. It’s also essential if this team is to live up to it’s full potential. The corners do have experience, with returning starter Michael Davis. Sophomore Jordan Preator also saw action in every game last season as a freshman except the bowl game, which he missed due to an injury. The safeties are where the real question marks lie. Kai Nacua saw plenty of playing time last season, and will likely start at free safety this season. He’s also the player guilty of that dirty sucker punch in the brawl with Memphis to close the season. The other safety spot will most likely be filled by JUCO transfer Eric Takenaka, but Kavika Fonua would be a more experienced option despite being only a sophomore. If they make it through September unscathed, then BYU will far surpass this prediction. However, opening the season with games against Nebraska, Boise State, UCLA, and Michigan is never easy, even when two of those four teams are breaking in new coaches and the other two new quarterbacks. I believe that BYU comes out of this stretch 1-3. After that though, the Cougars will start winning, as the schedule gets a bit easier. I think the most likely candidates for that fourth predicted loss are November 14th when the Cougars play Missouri in Kansas City, in the season finale when BYU goes on the road against cross-state rival Utah State, or on October 16th when they play Cincinnati at home on a Friday night.